What Is a Stereo Microscope and How Does it Work? How Does a Stereo Microscope Work? The stereo microscope has been around for awhile. Yet most people who don’t spend their days in a laboratory probably couldn’t explain the difference between a stereo model and any other kind. Stereo models function differently, and therefore meet the needs of users in a different way. So what makes these units so special? 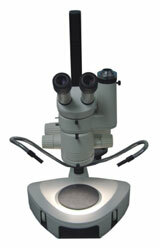 A stereo, or dissecting, microscope provides a three-dimensional view of the specimen. It does this with separate objective lenses and eyepieces for each eye. 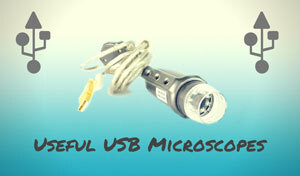 They have lower magnification when compared to compound microscopes, but they also have a longer working distance. Let's learn a little more! Who Invented the Stereo Microscope? The birth of the stereo microscope was filled with several trials and errors. Cherubin d’Orleans came out with a version way back in 1671. This was actually a pseudo stereo model, as it used supplemental lenses to make the image. The resulting unit projected the left image to the right eyepiece and visa versa. Francis Herbert Wenham designed the next iteration in the mid-nineteenth century. In comparison, Wenham’s microscope used an achromatic prism to split the light beam in the rear of the objective. However, this still did not produce a true stereoscopic effect. It wasn't until 1890 that anyone would achieve the features that the stereo design is known for. Horatio S. Greenough was an American instrument maker. He came up with a unit that would eventually become the forefather of the stereo models that are known today. Greenough was able to talk the Carl Zeiss Company into producing his design. The Zeiss engineers made some modifications to the microscope design. They inverted the prism, which created an erect image. Hence the stereo scope was brought to life in the scientific community. Since then, the basic design has remained the same; making the stereo unit a favorite in whatever laboratory it hangs its dust cover in. A stereo model is an optical microscope that functions at a low magnification. It works by using two separate optical paths instead of just one. The two objectives and two eyepieces provide the eyes with slightly different viewing angles. In essence, the left and right eye are seeing the same object but in a different way. Much like what happens with your actual eyes, these two separate viewing angles yield a three-dimensional image. This feature makes it ideal for examining surfaces of solid materials. It also lends itself well to sorting and dissecting. One can use these units for working with watches, circuits, and even microsurgery. 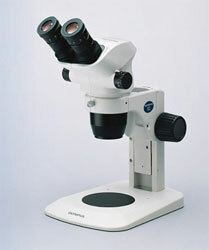 The lighting is also different than on other types of microscopes. It uses reflected, or episcopic, illumination to light up specimens. That means it utilizes light that is naturally reflected from the object. This is ideal when dealing with thick or opaque samples. There are some models that can use transmitted light. The bulb or mirror will reside beneath the object itself. However, the lighting won’t be controlled through a condenser, like it is on compound microscopes. Certain stereo models can also be used in dark field microscopy when necessary. The stereo, or dissecting, microscope had several starts and stops before it came to life. Each person in the history of these unique units made a small change that eventually made a big difference. Since its creation, it has changed in many ways while keeping the ultimate goal of providing a 3D image. 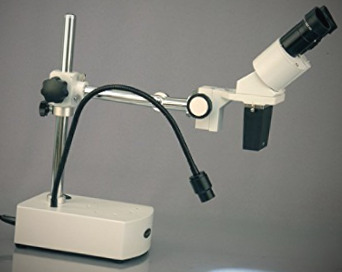 This feature has kept the stereo microscope a mainstay throughout the microscopic world!